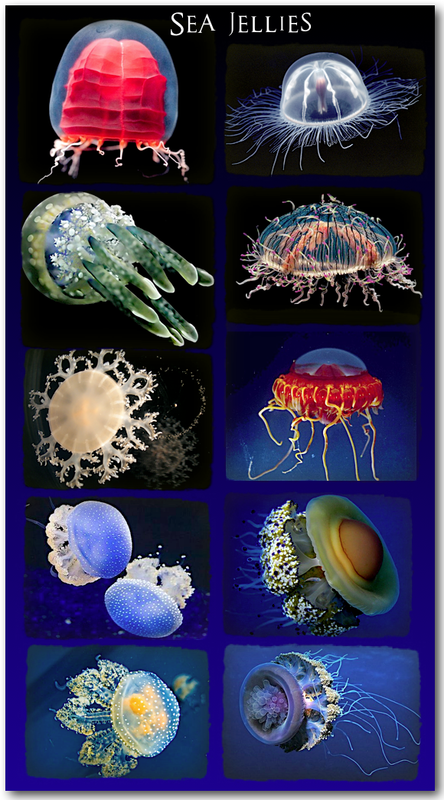 But there is so much amazing beauty in a sea jelly, that you need to see more right now! Oooh, I love that snowflake jelly. And the little spaceship one. By-The-Wind-Sailor! I am not joking. He's not a true sea jelly, but he's amazing! 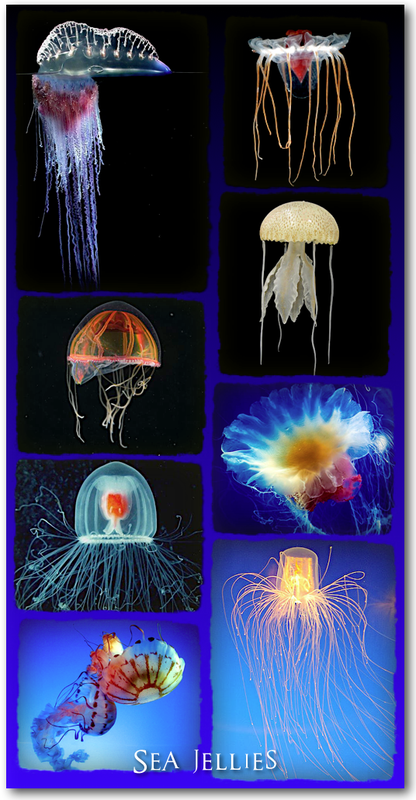 I'd name the bottom left guy the Kite Jelly. And the bottom right one...Firecracker Jelly! 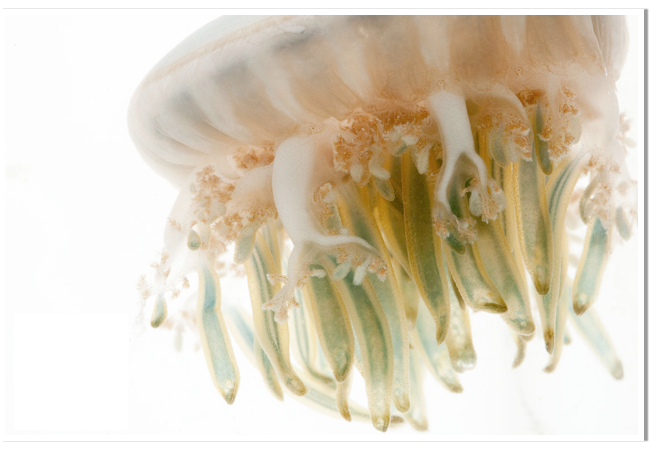 Some jellies are so small, you need a microscope to see them. 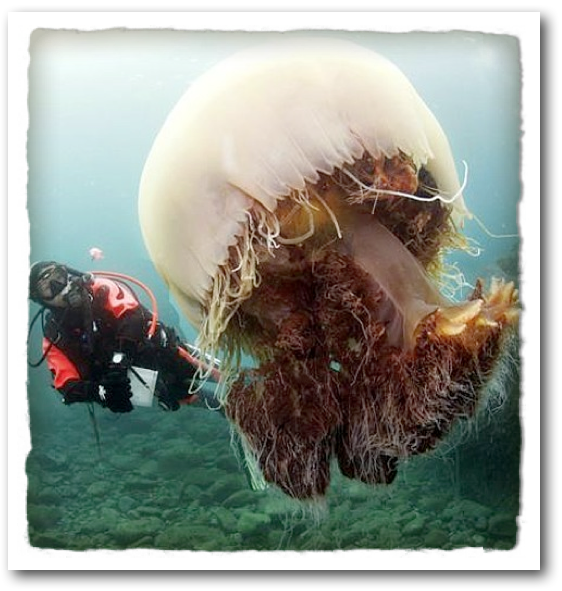 That's a Lion's Mane Jelly. So what eats the Jellies? those luscious little sea slugs, nudibranchs. Remember them? Got questions? Leave me a comment! 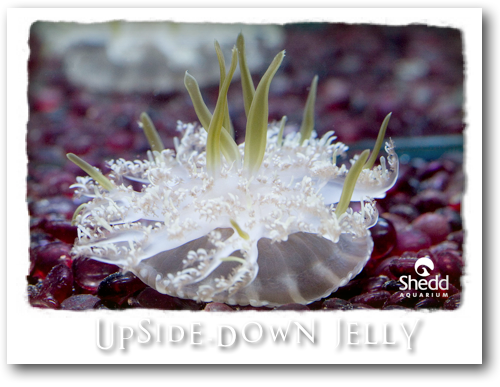 And check out Shedd Aquarium's site for more amazing Sea Jellies.